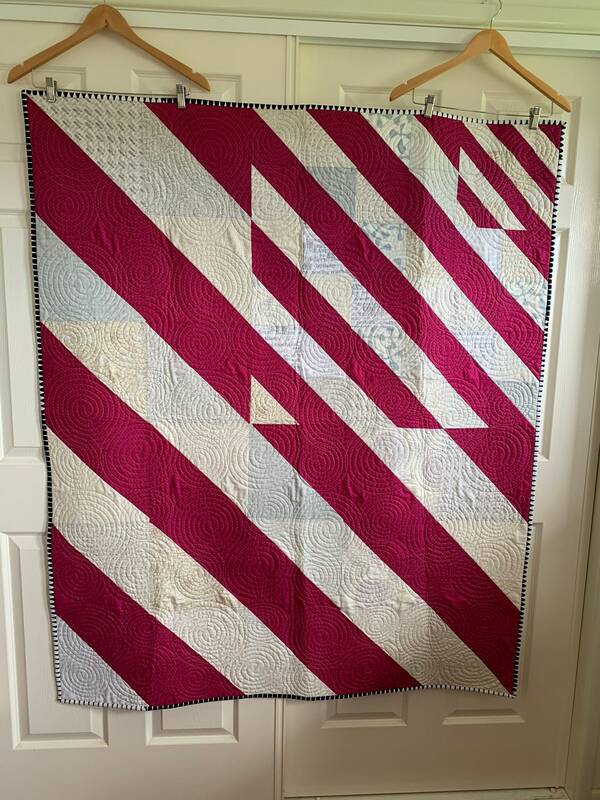 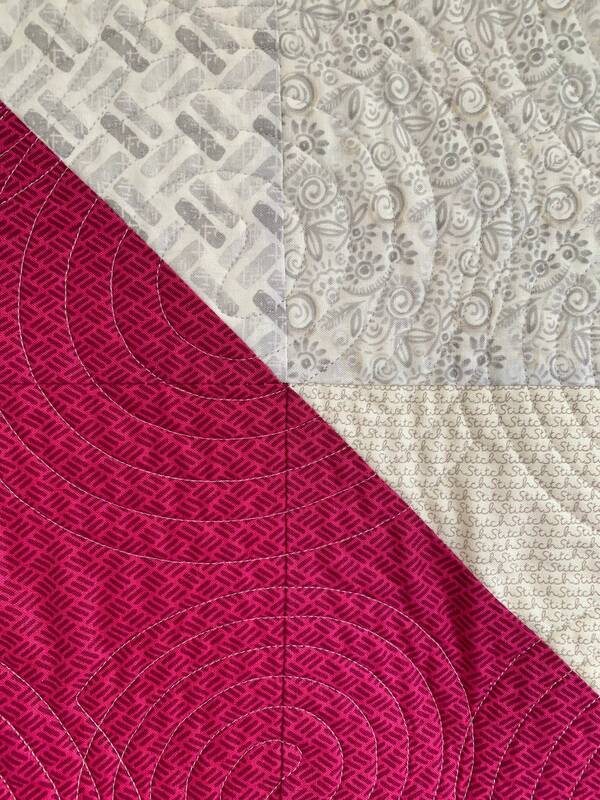 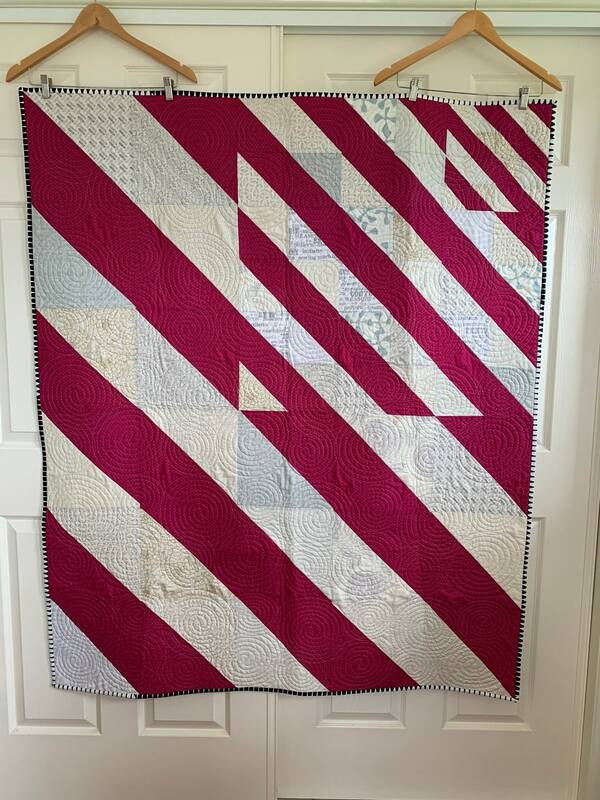 This beautiful modern quilt made in pink and cream triangles is called Amplified. 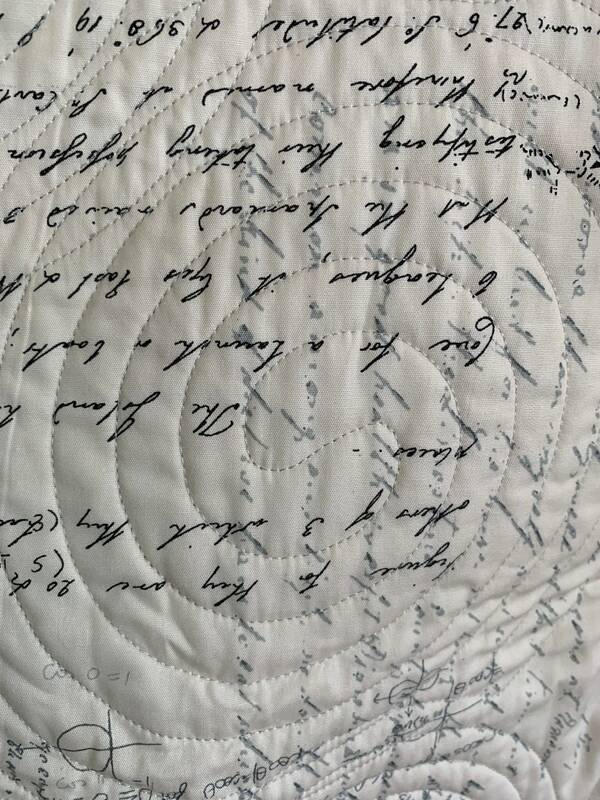 Hand sewn by myself in my studio in Brisbane. 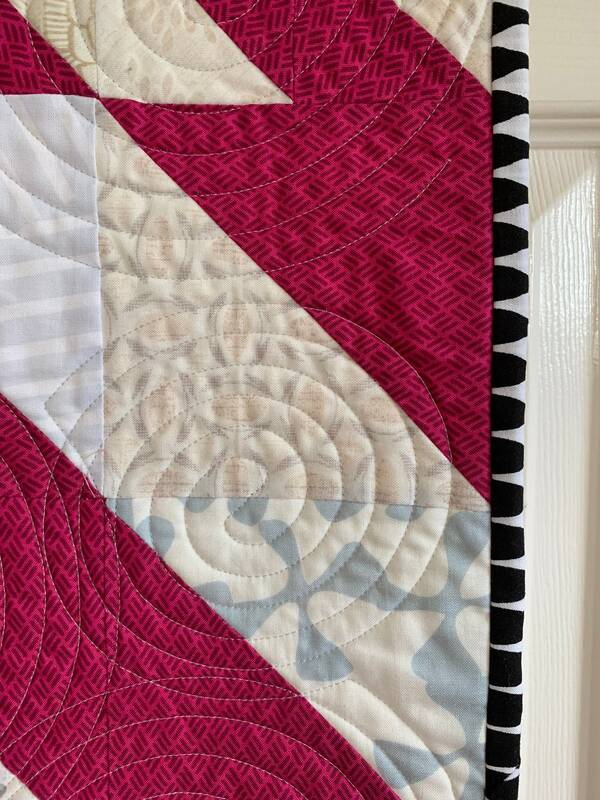 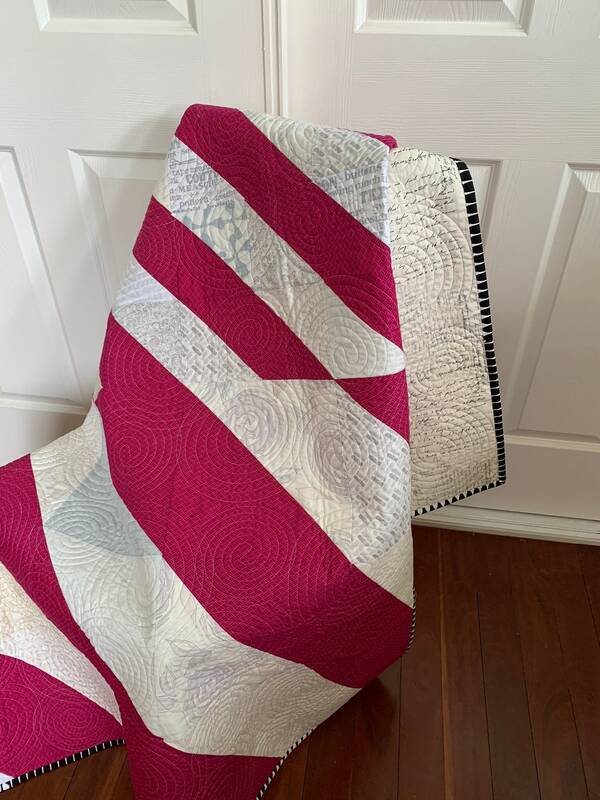 It is quilted with a circle pattern with light grey thread. 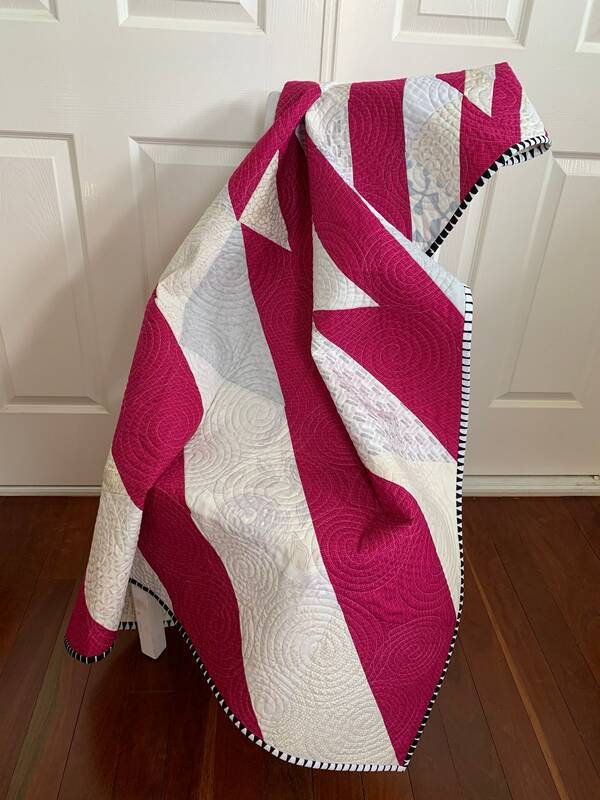 It would make a great quilt for a teenage girl or thrown over the back of a couch.